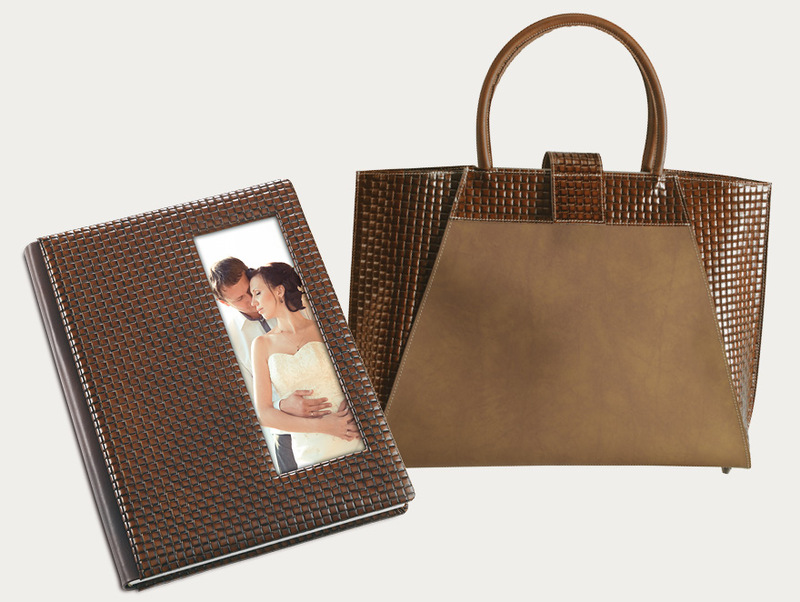 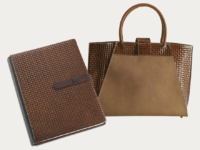 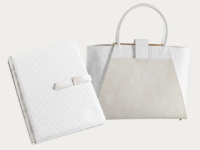 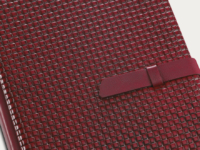 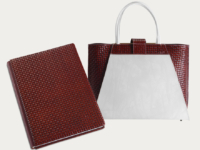 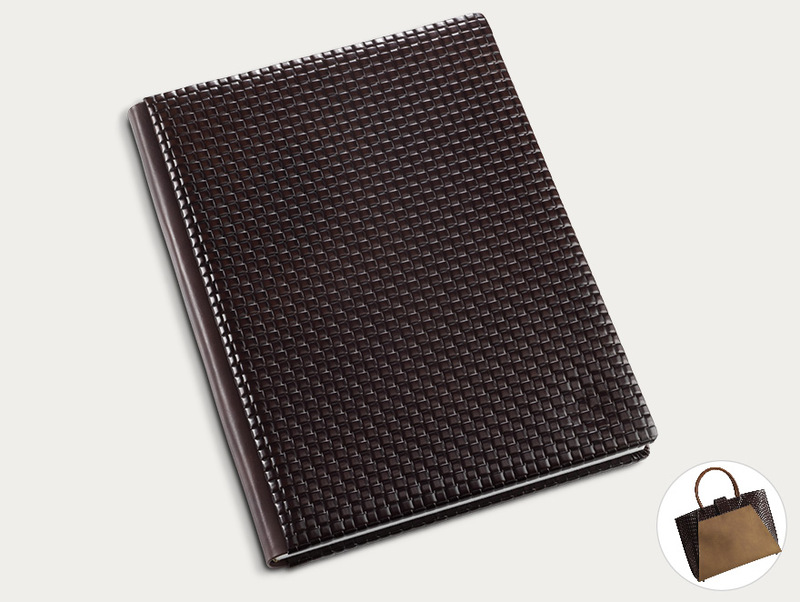 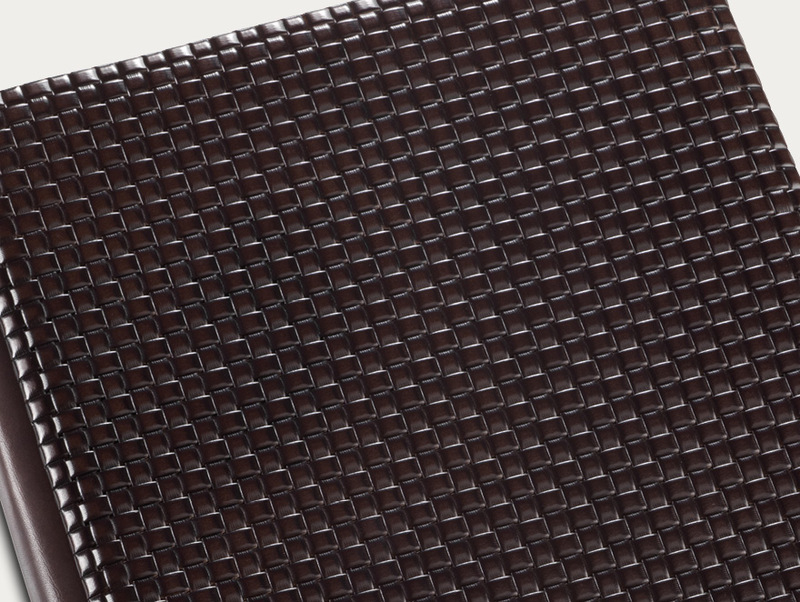 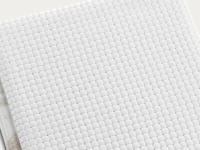 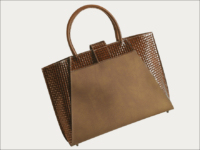 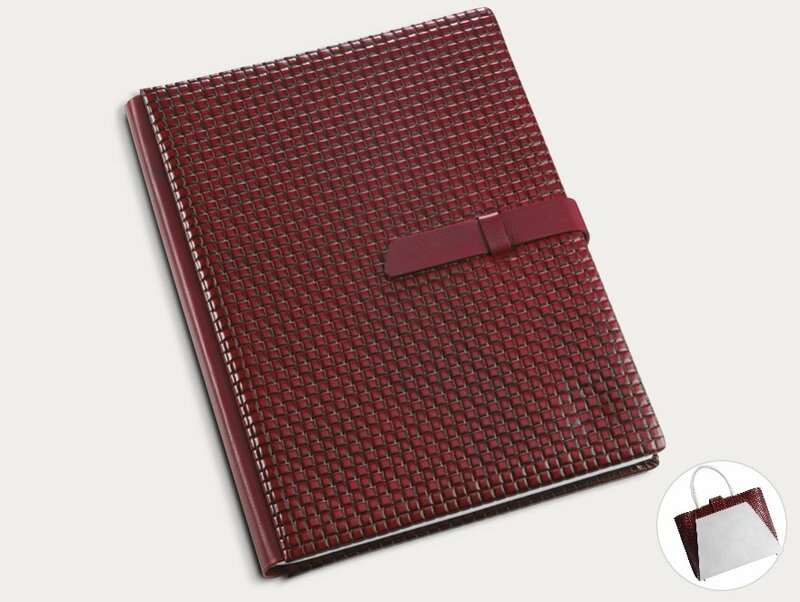 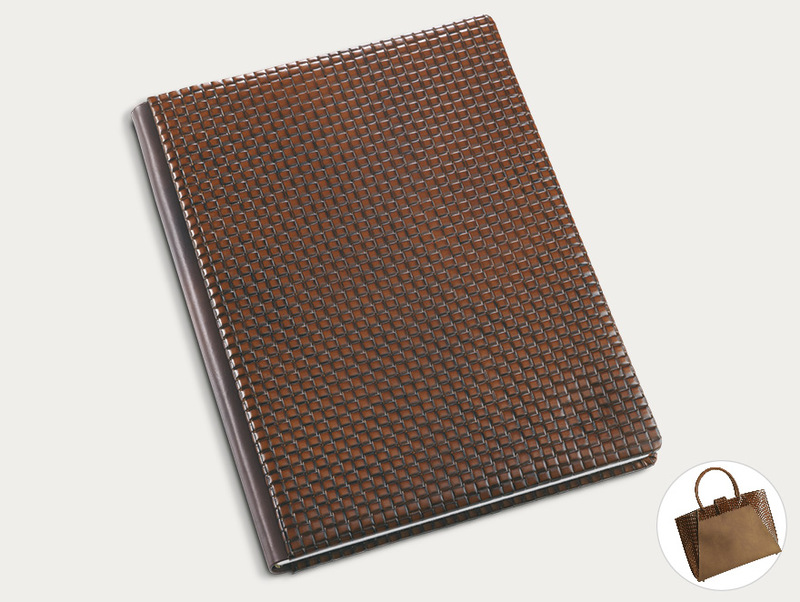 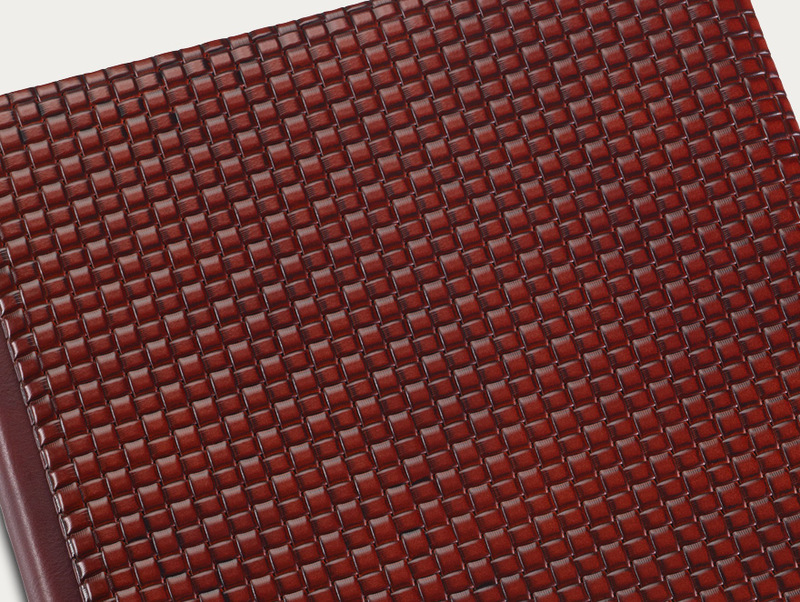 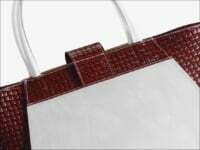 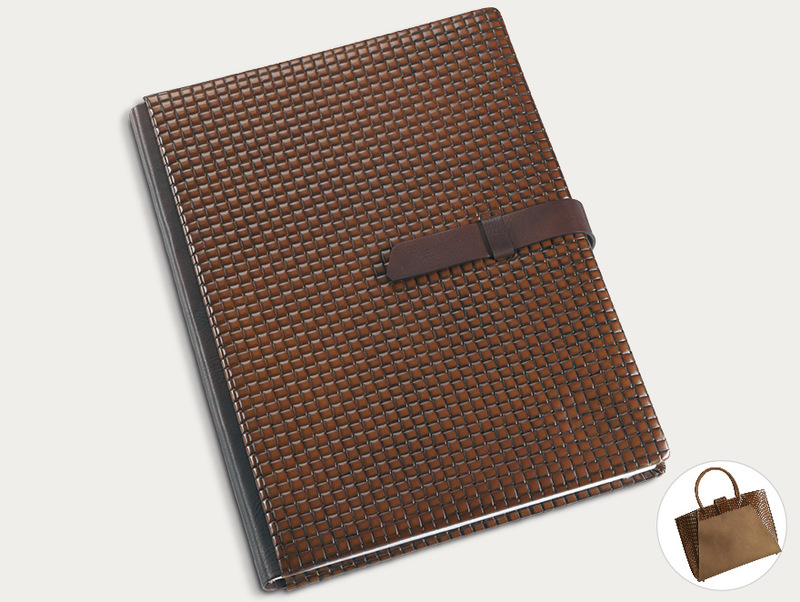 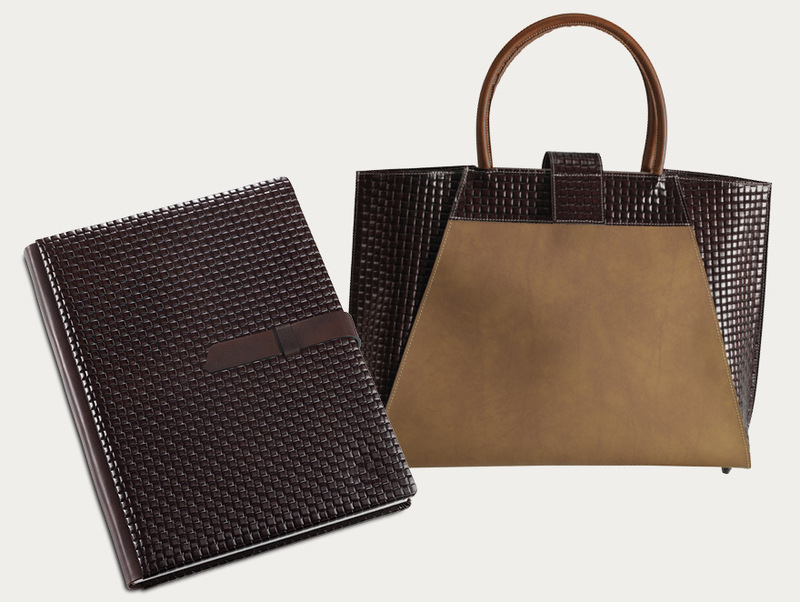 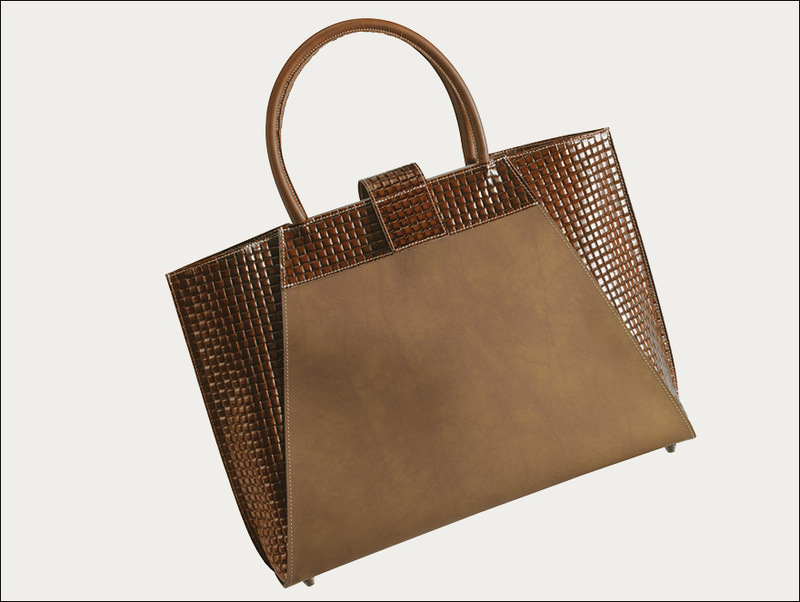 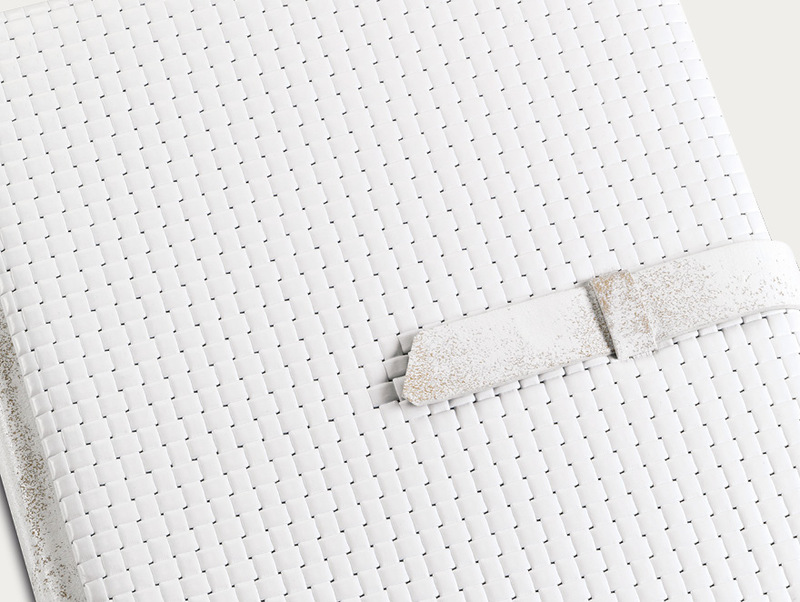 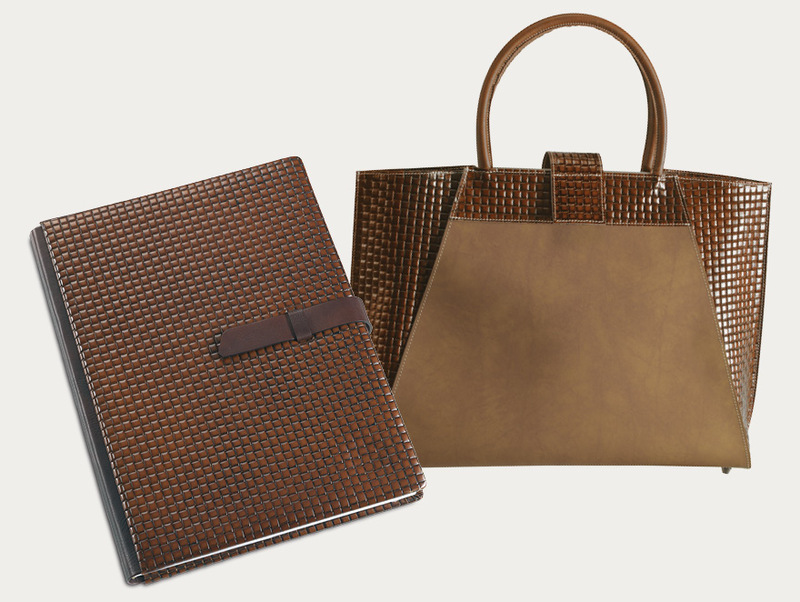 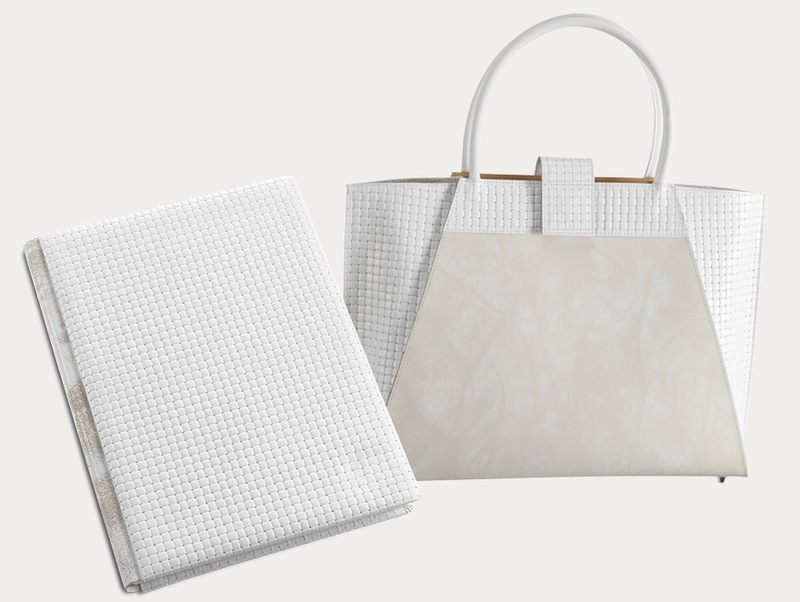 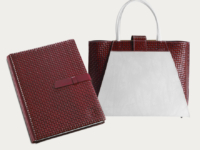 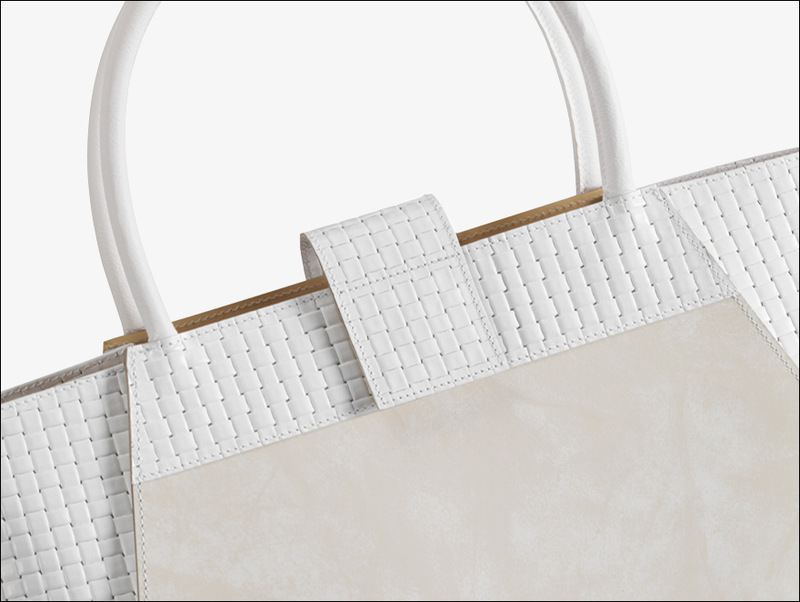 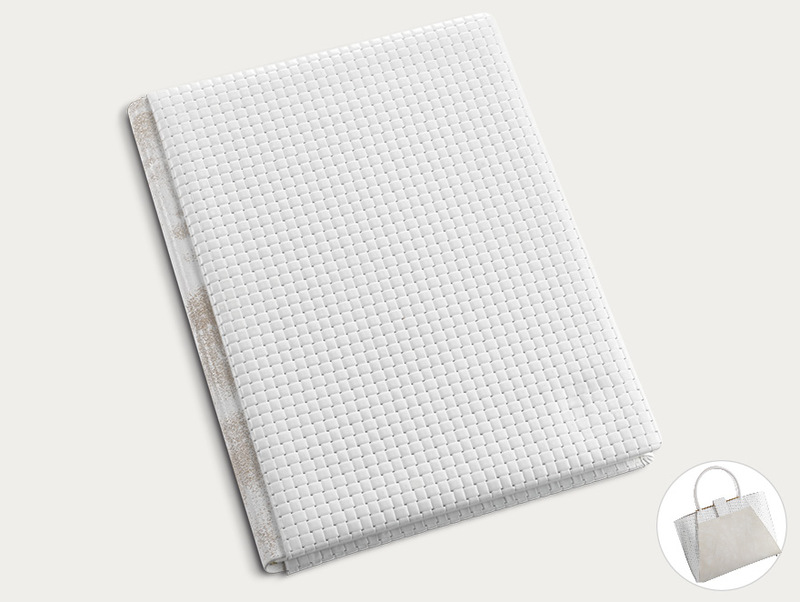 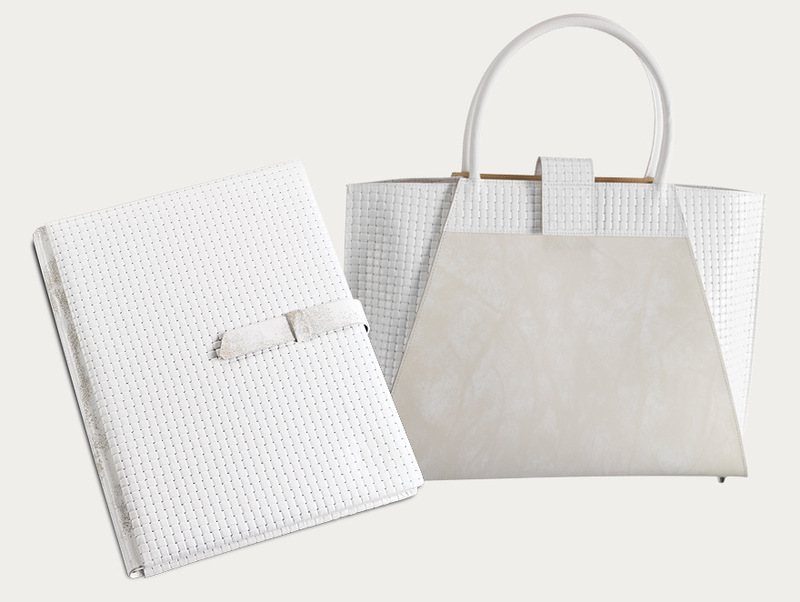 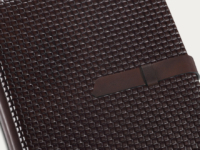 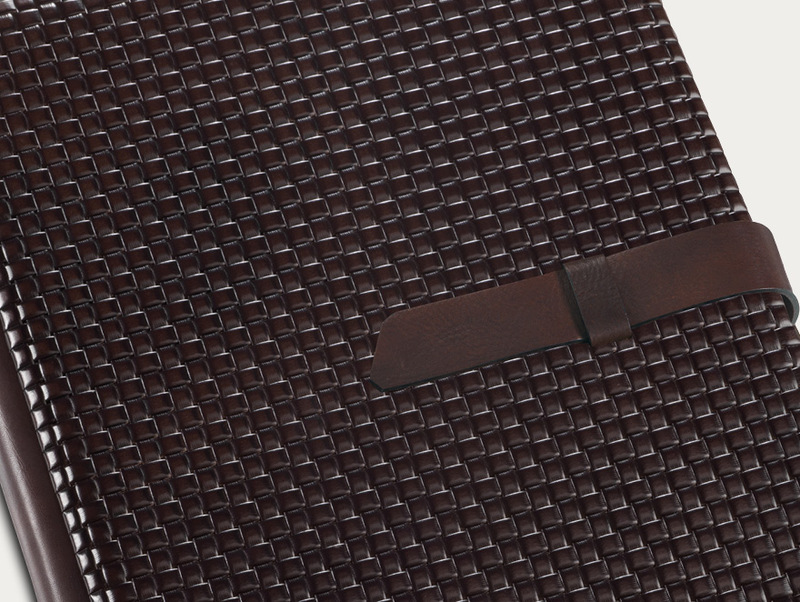 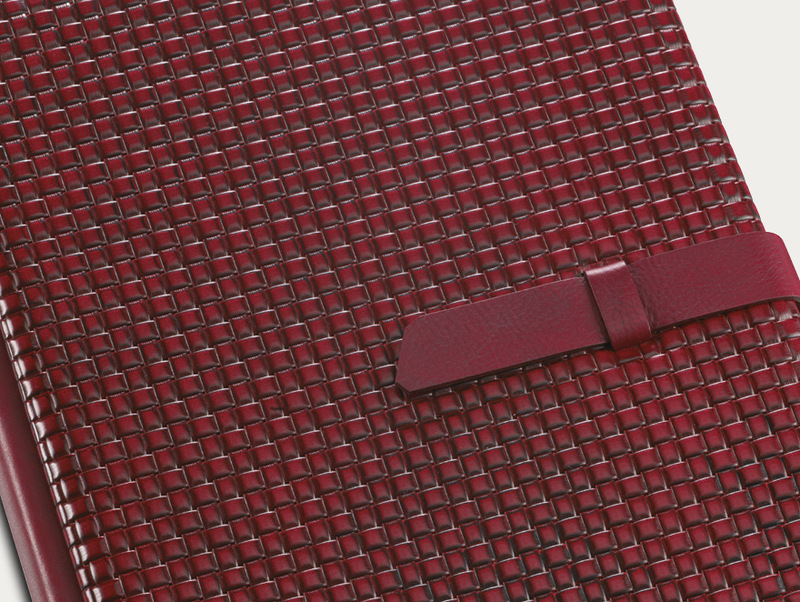 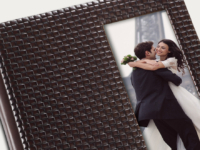 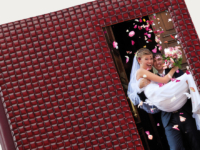 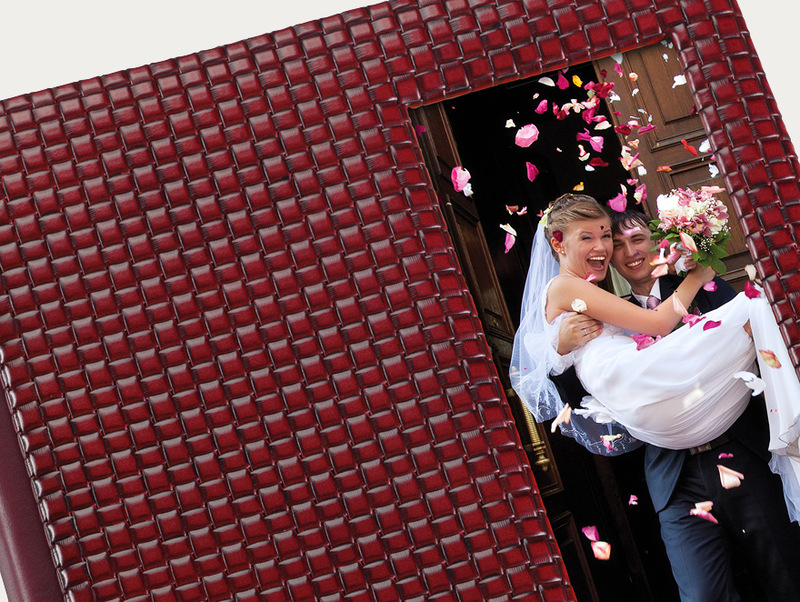 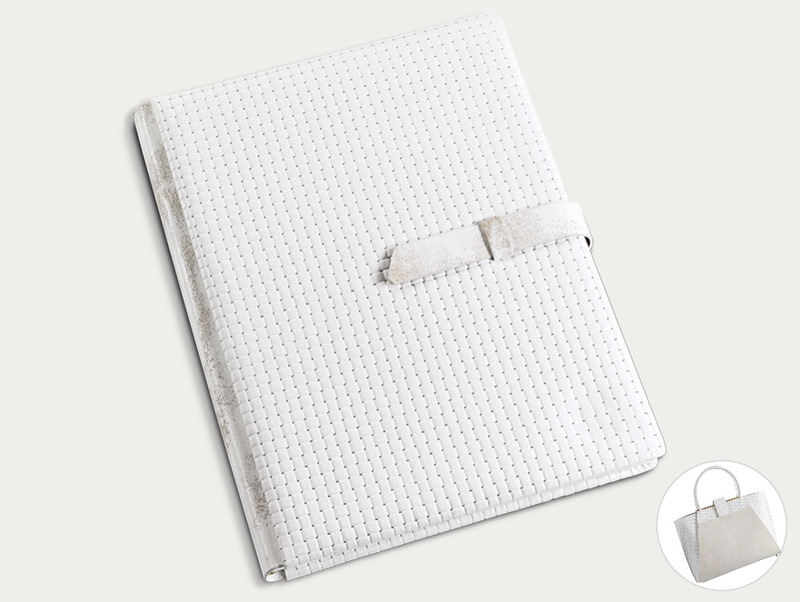 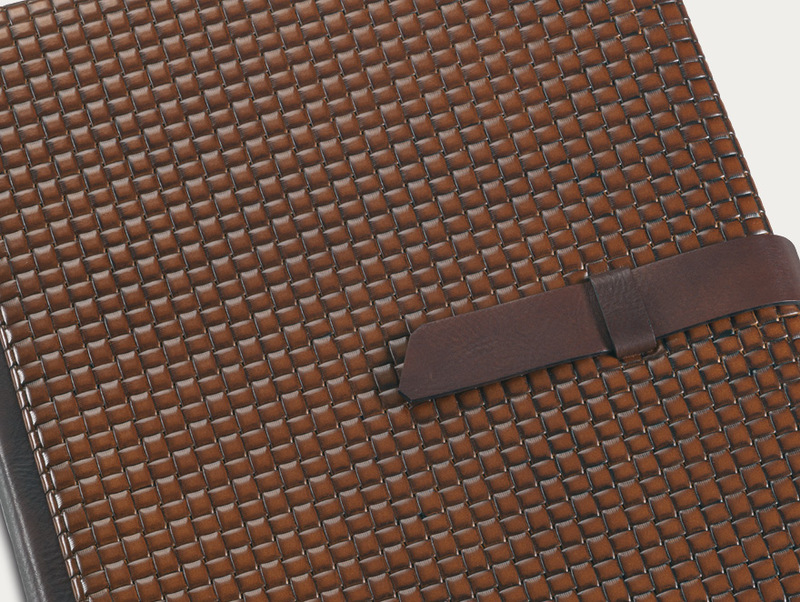 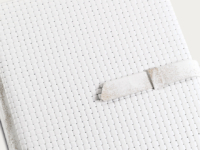 Woven Leather covers feature a contrasting spine in smooth leather. 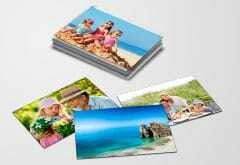 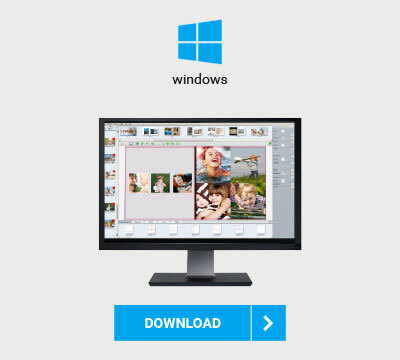 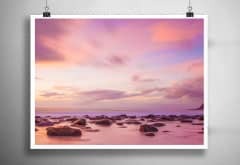 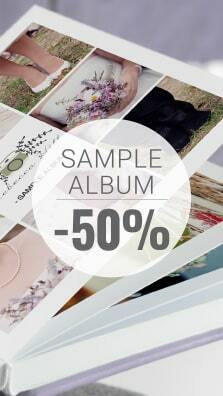 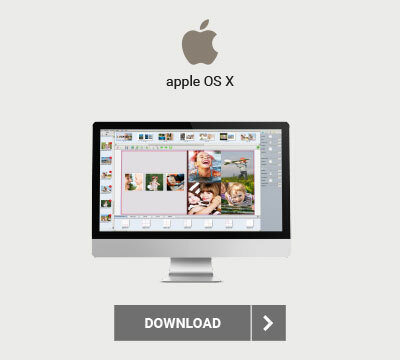 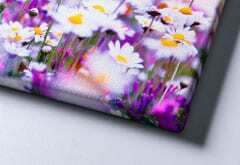 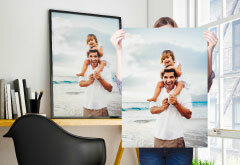 In this version it can be customized with a photo on the front panel. 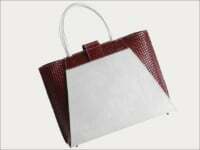 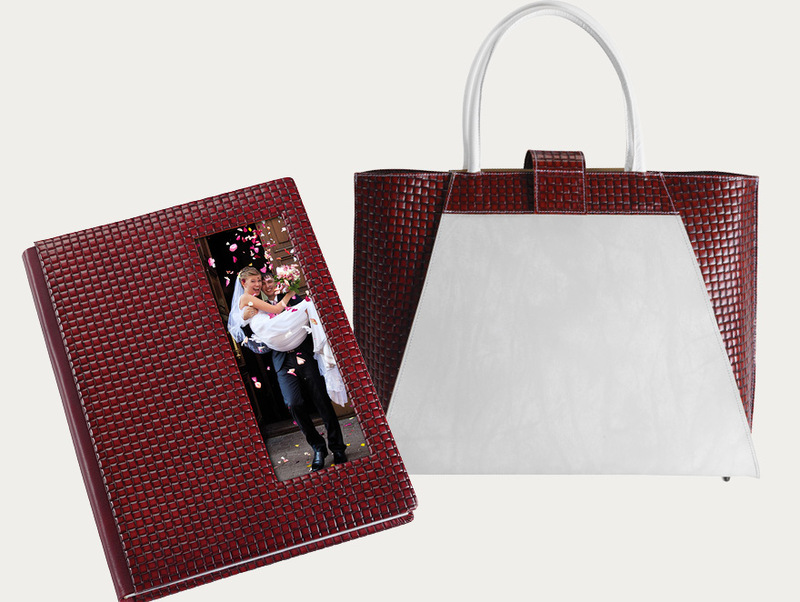 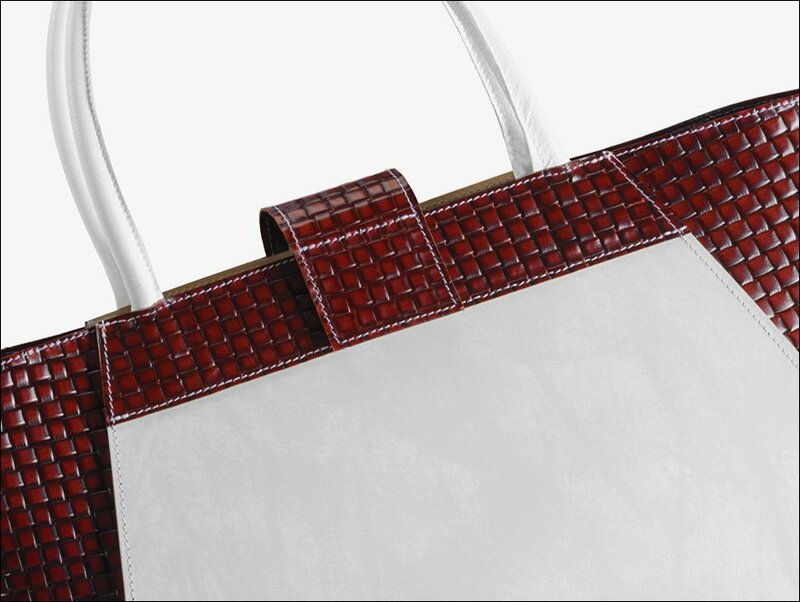 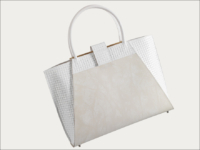 An elegant matching bag is also available for purchase. 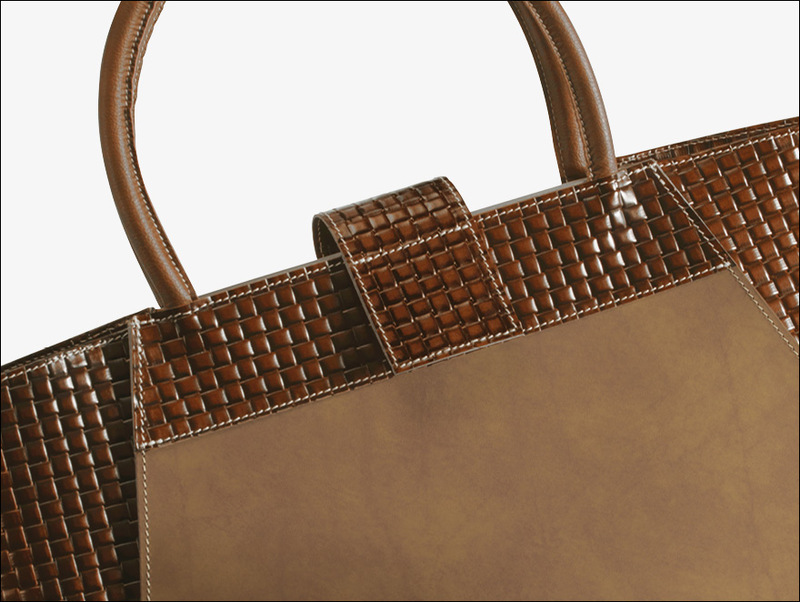 Handcrafted in Italy by our expert artisans. 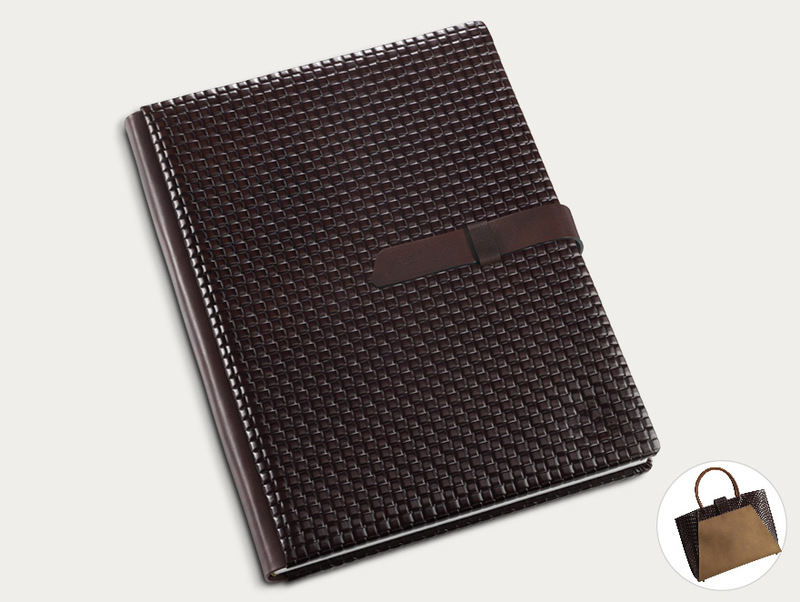 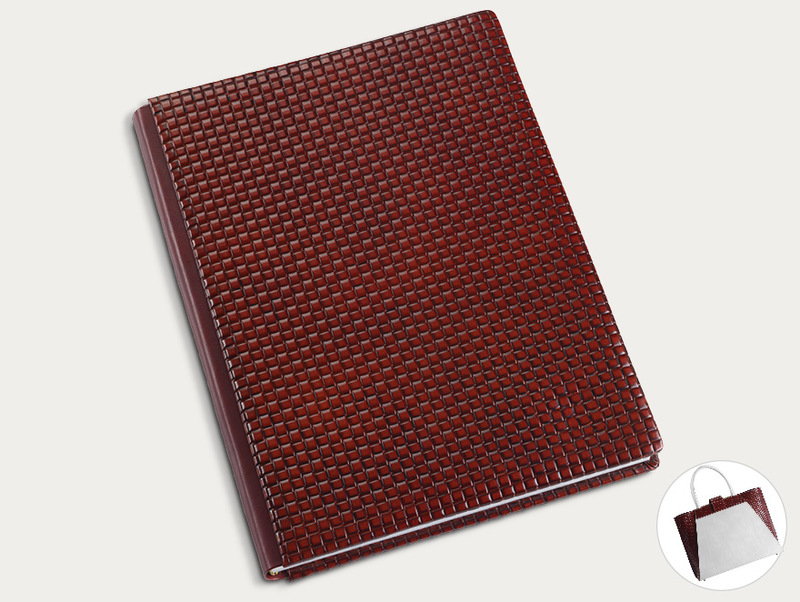 Made in woven leather, it features a contrasting spine in smooth leather. 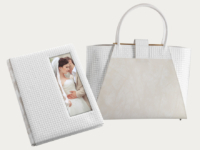 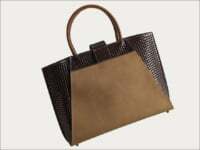 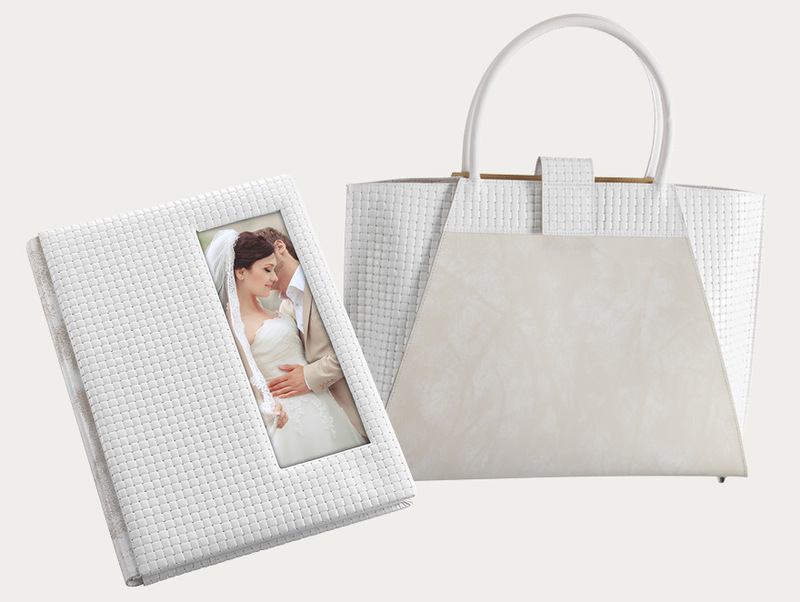 An elegant matching bag is also available. 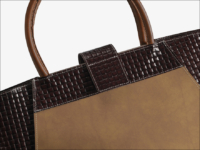 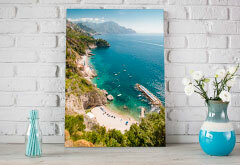 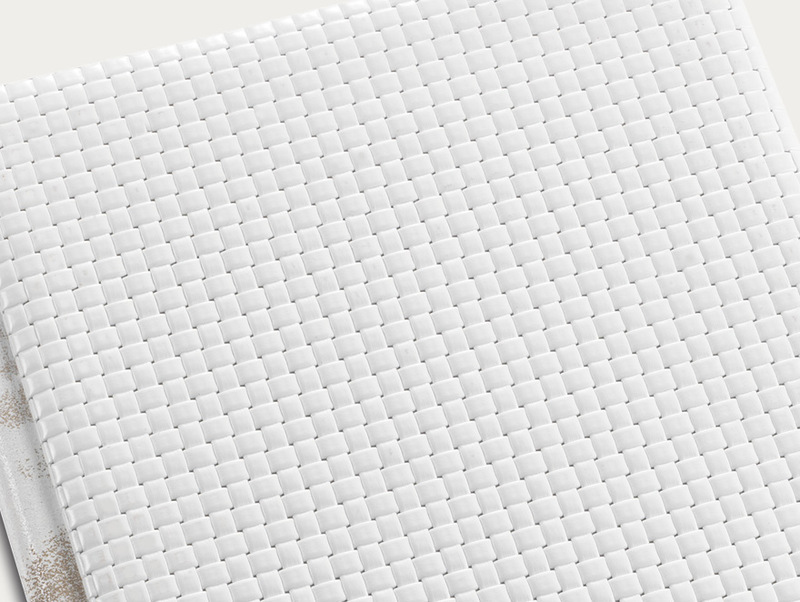 Handcrafted in Italy by our expert artisans.